National Home Inspection Service, Inc. Comment: Buying a house. Need inspection. Comment: I would like to get an estimate for leak in my roof causing mold. Comment: Need an inspection on a home before purchasing. The unit is a condo. Closing is scheduled for end of April. Comment: Need a home inspection for a home I am thinking of purchasing. Comment: We are in contact on a house and need an inspector in the next few days to do an in depth inspection. We would prefer the inspection to go over Radon, gas line, termite, septic,crawlspace, on site report, roof,attic, electrical, plumbing,ac/ heating,fireplace,chimney,basements etc. Comment: Would like to get a PREinspection (VA inspection guidelines) done before applying for VA loan to buy house that we are living in. in order to an idea of what to get repaired before actual VA inspector from bank comes out. DeMarco Roofing Siding and Gutters, Inc.
Newark Home Inspectors are rated 4.82 out of 5 based on 383 reviews of 19 pros. 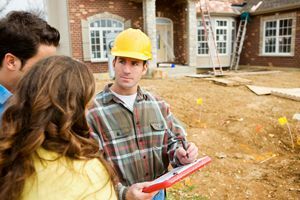 Not Looking for Home Inspection Contractors in Newark, OH?